SWARTZ CREEK, Michigan — What a difference coaching can make. In January, just one year ago, Swartz Creek was playing for pride only. Floundering along in the Flint Metro League with a team that, true be told, had more talent than this year’s squad, the Dragons finished the season as a very ordinary near .500 team. Former Burton Bentley coach Jeremy Trent, who took the reins from Eric Senter at Creek, once again proved why he’s considered among the top young coaches in Michigan, as his Dragons put a beatdown on Fenton, 72-54. Flint– Friday night, Flushing was thrashed by Powers Catholic in a rivalry game, but for most of the night it was actually close. This Flushing team isn’t as talented as last season’s, but it is definitely better. Last year, and for the past few years frankly, Flushing has had this culture of players who didn’t seem to care if they won or lost. I just recall their guys constantly smirking throughout games. I could be way off, but that was always my impression. If you’re looking for a good game, look no further than Saginaw Buena Vista High School tonight. The Knights, one of the top teams in the state in class C, is playing host to Flint Northwestern, a team that’s just outside the top 10 in the state in class A. 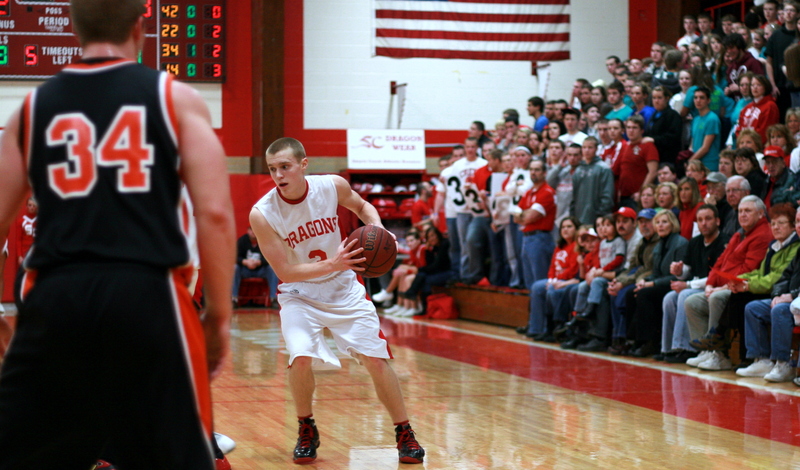 Another big matchup will take place at Swartz Creek tonight as the Dragons prepare for the most meaningful basketball game at their school in years versus unbeaten Fenton. Flint Northwestern by two: The Knights are really good, but I have to side with the class A team in this battle. The matchup between two of the state’s top junior guards, NW’s Jaylen Magee and BV’s George Goodman is alone worth the price of admission. Fenton by four: I still think Fenton is ripe for the picking in the Flint Metro League, but I just don’t like how this game looks on paper. Fenton is deeper and possesses a more talented starting five. In Swartz Creek’s defense, they will have a sellout crowd and the best player on the floor in senior guard Cody Campbell. 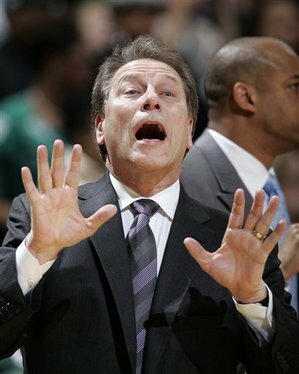 — Last night’s game between UM and MSU in Ann Arbor was a real dud, at least until the end. Before Kalin Lucas’ game winning shot with three seconds left, it was 39 minutes of ugly basketball. It’s clear that neither of these teams can shoot the ball. The teams were a combined 9-for-41 from 3-point range. Heck, Michigan’s guard shot a combined 3-for-21. The worst news for MSU fans is that Michigan shot 24 percent from 3-point range and 32 percent from the field and still SHOULD HAVE WON THE GAME. That’s pathetic for the no. 5-ranked team in the nation. — And one more thing. Be honest: Did you see any player on that floor last night that even resembled an NBAer? 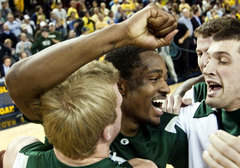 I mean, Kalin Lucas hit the big shot, but does he look like an NBA point guard to you? What about Manny Harris? Is he going to get those buckets in the NBA against better defenders who know he can’t shoot? Doubtful. 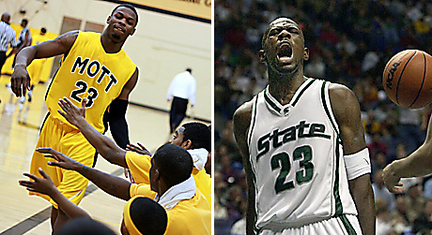 What about Deshawn Sims air-balling a 3-pointer late in the game? Smoke and mirrors, folks. 1.) Arthur Hill: They beat Saginaw High in their first meeting, but I’ll just predict a loss right now in the rematch on Saturday. Maurice Jones is Mr. Basketball. 2.) Saginaw High: The Trojans are riding high after victories over two of the top teams in the state — Kalamazoo Central and Romulus. Great backcourt. Great big man. Great team. 1.) Flint Powers: Dominated Carman-Ainsworth earlier this month to make their early-season loss to the Cavs null and void. 2.) Flint Northwestern: They just keep winning. Jaylen Magee is turning into a big-time scorer for the Wildcats. They play Saginaw Buena Vista on Friday — look out. 3.) Goodrich: The Martians have a meeting with Flint Hamady coming up to prove that they, and not the Hawks, are the GAC’s best. Others receiving votes: Detroit Cody 16, Wayland Union 16, Belleville 15, Flint Northwestern Prep Academy 13, Flint Carman-Ainsworth 11, Warren De La Salle 9, Grand Rapids Christian 8, Detroit Southeastern 8, Dearborn 7, Detroit Cass Tech 6, Detroit Renaissance 4, Grand Haven 3, Rockford 2, Ann Arbor Huron 2, Greenville 1, Grand Blanc 1, West Bloomfield 1. Showdown: Will the ‘rivalry’ be enough to keep UM/MSU game close? We'll win by at least this many. Coming into tonight’s matchup between Michigan State and Michigan at Crisler Arena in Ann Arbor, I was tempted to call for a down-to-the-wire game with MSU winning in the final minute. After all, it’s a road game for the Spartans and, people tell me, a rivalry game. Again, it’s not really a rivlary game since Michigan State has had a better basketball program for, oh I don’t know, like a decade and a half. 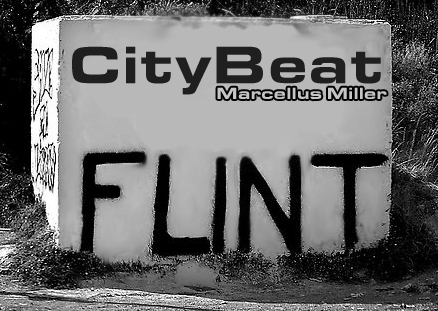 As we sit on January 25, 2010, the Flint City Series race order of finish has all but been determined. Due to their three wins in their first three city games, Northwestern has sealed the deal as the champion. Further, as a result of last Friday night’s Northern victory over Southwestern, they can finish no worse than tied for second place and Southwestern can finish no better than that.